Diane Arbus: Portrait of a Photographer brings into focus with vividness and immediacy one of the great American artists of the twentieth century. Arbus comes startlingly to life on these pages, a strong-minded child of disconcerting originality who grew into a formidable photographer of unflinching courage. Arbus forged an intimacy with her subjects that has inspired generations of artists. Arresting, unsettling, and poignant, her photographs stick in our minds. Why did these people fascinate her? And what was it about her that captivated them? It is impossible to understand the transfixing power of Arbus’s photographs without exploring her life. Lubow draws on exclusive interviews with Arbus’s friends, lovers, and colleagues; on previously unknown letters; and on his own profound critical insights into photography to explore Arbus’s unique perspective and to reveal important aspects of her life that were previously unknown or unsubstantiated. He deftly traces Arbus’s development from a wealthy, sexually precocious free spirit into first, a successful New York fashion photographer and then, a singular artist who coaxed secrets from her subjects. Lubow reveals that Arbus’s profound need not only to see her subjects but to be seen by them drove her to forge unusually close bonds with these people, helping her discover the fantasies, pain, and heroism within each of them, and leading her to create a new kind of photographic portraiture charged with an unnerving complicity between the subject and the viewer. 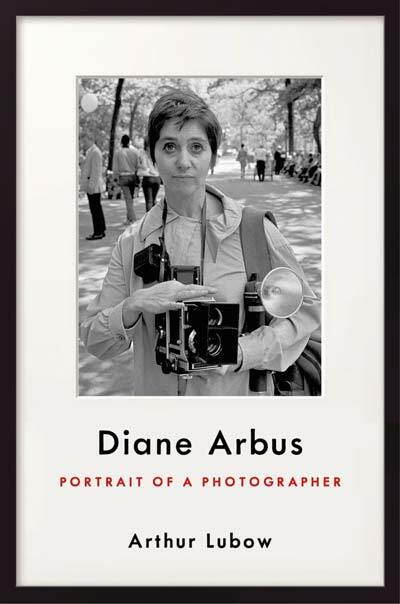 Diane Arbus: Portrait of a Photographer brushes aside the clichés that have long surrounded Arbus and her work. It is a magnificently absorbing biography of this unique, hugely influential artist.